An Etruscan terracotta Patera from circa 370 to 350 B.C. Small plates of this type are characteristic of local production influenced by Greek mainland styles. The Genucilia Group comprises a group of plates produced in Etruria (modern day central Italy) in the 4th century B.C. Mainly manufactured by workshops of Ionic potters who settled in Vulci. The patera itself is a shallow footed bowl used to make offerings, which continued to be used by the Romans after the fall of Etruscan society. 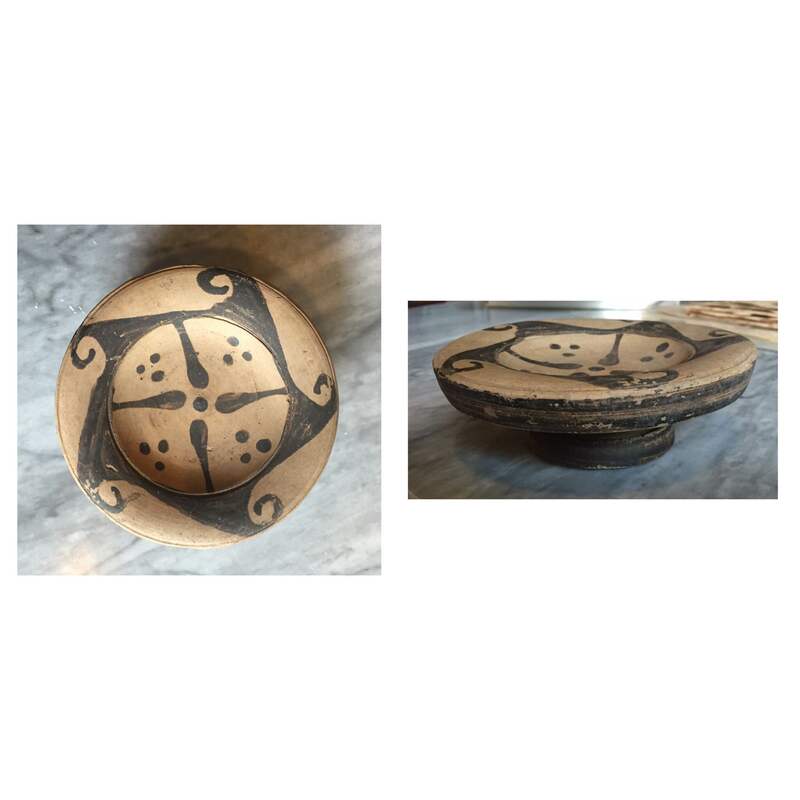 Shallow bowl/plate decorated with a four point star on the floor and dots in the interstices.. The narrow bulged rim enhanced with five spiral waves. The name derives from a lady named Poplia Genucilia who was the owner of a similar plate that was inscribed with her name. Intact and in good condition with a couple of minor chips.